We are in the End Times – the most glorious times in the history of earth and mankind. The End Times are the Times of Ascension when this planet and humanity will move to the 4th and 5th dimensions, which is the “Paradise” promised to humans by all religions. Humans will be able to overcome physical death and transform their biological bodies to crystalline light bodies. 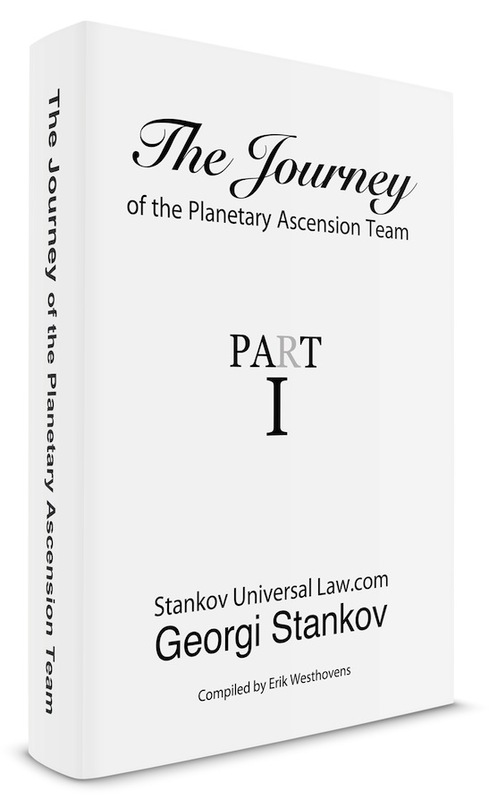 The Human race will be transmuted in the blink of an eye to a transgalactic multidimensional civilisation with a highly expanded consciousness. Humans will again become Gods, as they always are as pure souls in the higher realms. This is the Divine Plan for this planet and the Human race in the current End Times. 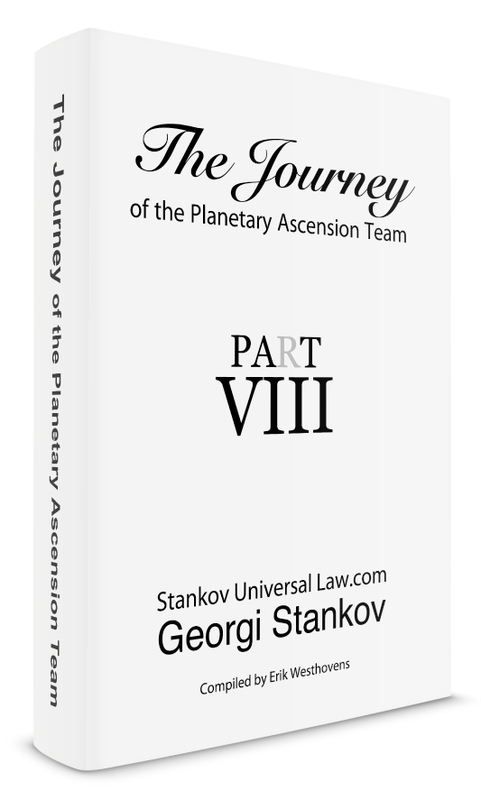 A central piece of this plan is the mission, which the author of this website, Dr. Georgi Stankov, had to accomplish in this last incarnation on earth. 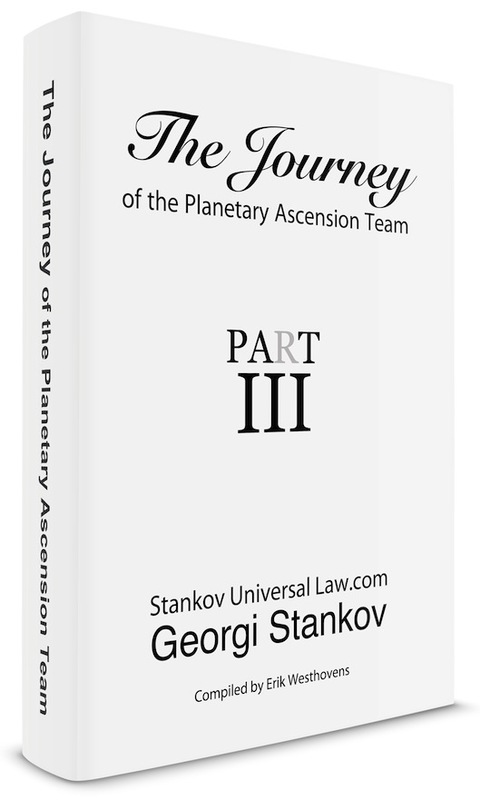 With the help of the Highest Realms of Cosmic Providence, from where he comes as a soul, he discovered the Universal Law of Nature, which is the physical presentation of the Law of Oneness, also known as Logos in Antiquity as a new Unified Theory of modern physics. With the help of the Law, Stankov integrated the whole modern physics by deriving all known physical laws and natural constants from the Universal Equation (see Table below). The new Theory also eliminates all religions on this planet, which have so far failed to furnish any irrefutable proof for the existence of God. They will not enter the new Matrix of ascended humanity, which will be installed on earth in the near future. This new website is the scientific ” Proof of God” (“Gottesbeweis“), which humanity has always endeavored to find, but has previously failed to render. It represents a complete library (archive) of the lifetime of intellectual achievement of the author as a scientist, a researcher, and a thinker. 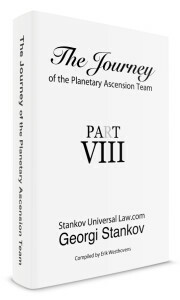 This website encompasses the edition of 15 books in several languages, such as English, German, Bulgarian, Russian etc. and more than 2000 publications. The new Science of the Universal Law also integrates philosophy, theology, and esotericism to a new scientific Transcendental Human Gnosis. 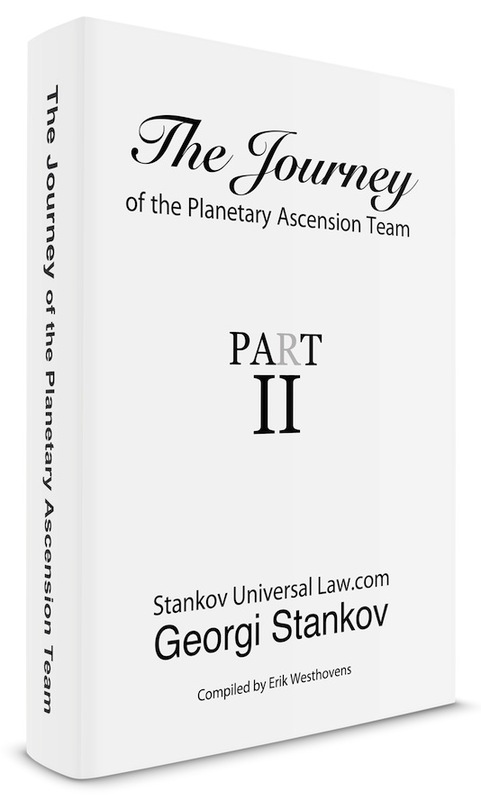 It is the basis of the new Science of Ascension of humanity. 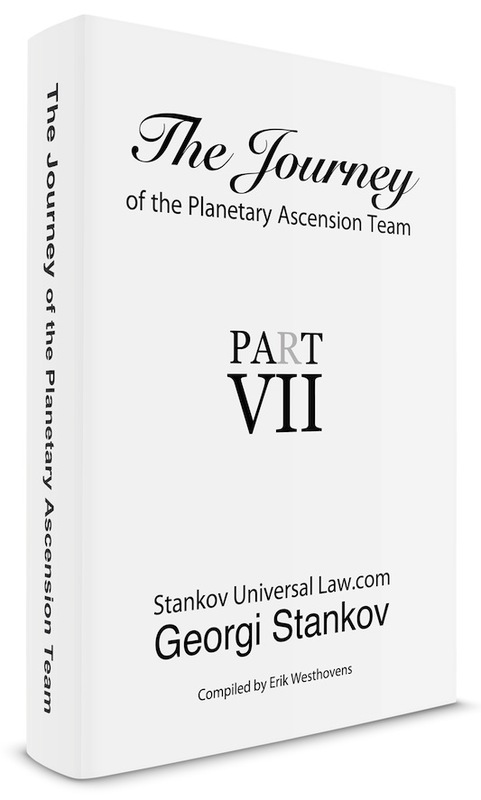 Purely for this reason, the Divine Plan foresees that the author will transform his carbon-based organic body into light body and will officially appear in front of humanity as an Ascended Master of the current End Time (This statement was written in August 2011. 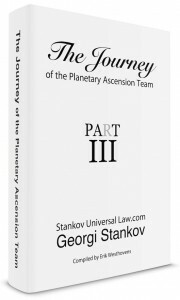 In August 2013 Stankov transfigured his carbon-based body into light body one week after his dual soul Carla Thompson transfigured as the first human being and visited the crystal city of Telos in the Inner Earth of Agartha in her light body). 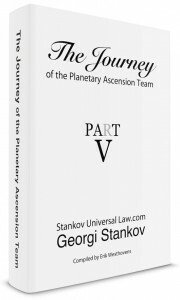 When Stankov and his dual soul will finally ascend and leave this uppermost mother planet, they will herald the Ascension of this earth and will demonstrate to the whole humanity the immortality of the human soul and the incarnated personality. Other Ascended Masters will soon follow their example. The spiritual and scientific “Proof of God” can be already found on this website. 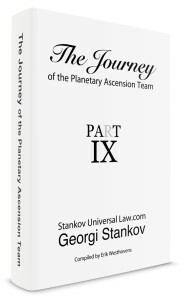 One must only read and comprehend all the books and publications of the author. 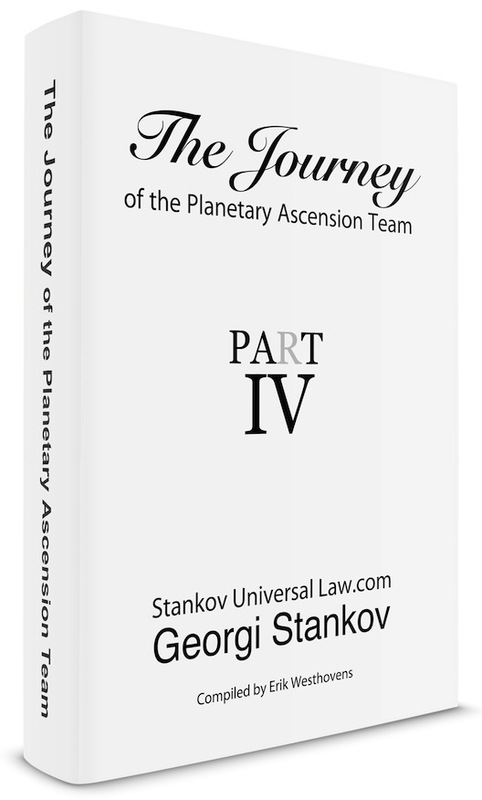 The full comprehension of this Theory will be, however, possible only after Ascension into the 5th dimension, when all ascended entities will enjoy a hugely expanded consciousness. 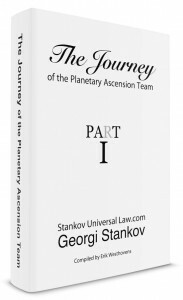 The written presentation of the new Theory of the Universal Law in Stankov’s books will become the foundation of the new scientific and gnostic weltanschauung of the enlightened humanity on the new 4D worlds in the new Golden Galaxy. These incarnated human beings are the anointed Guardians of the new Golden Galaxy. This kind of awareness is not possible in the low-frequency three-dimensional density of this planet. 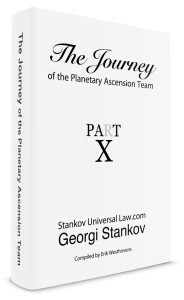 Hence the necessity of mankind to ascend. This website was created in a tour de force in the first three weeks of August 2011. All the summaries of the books and many publications on the Ascension and the Economic Collapse were written or revised during this time and are of great actuality. This achievement was only possible due to the incredible expedience, competence, and creativity of Chris, who designed and developed this website with such a sovereignty and dexterity that I still can not stop admiring him. This website is an open forum for all light warriors of the first and the last hour and for all ascended masters, as well as readers interested in the ascension process. All emails to the editor can be published at his discretion. 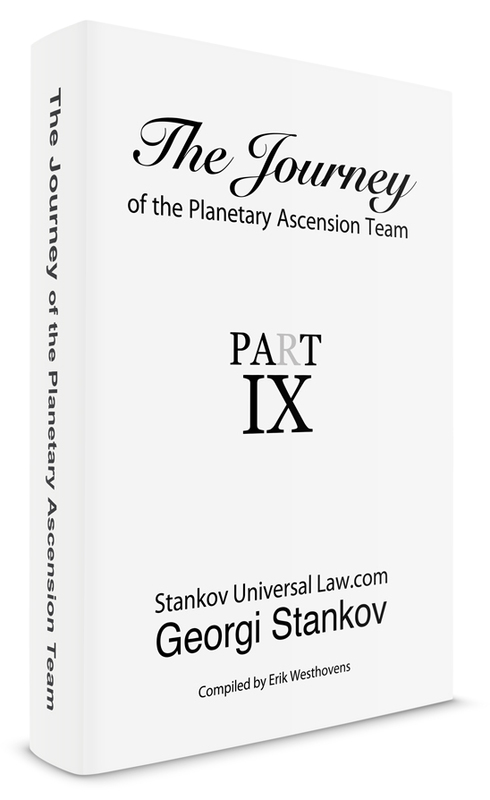 The latest part of the book serie will be regularly updated with the latest posts.